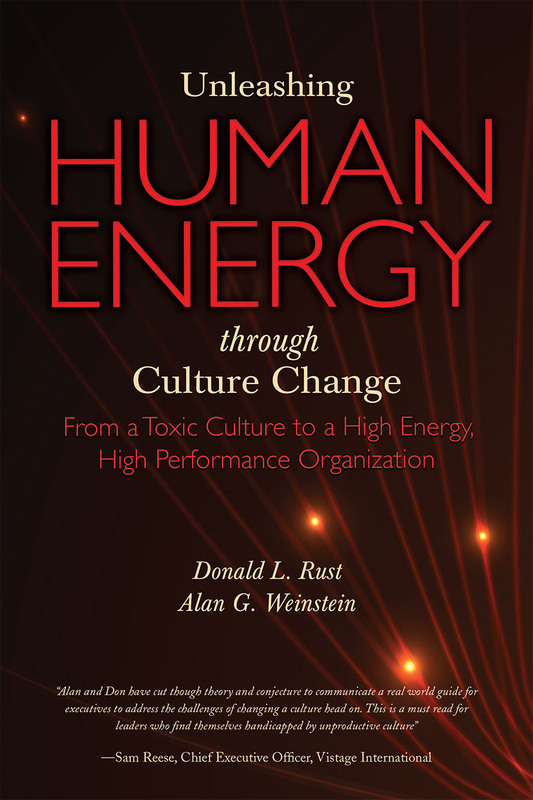 Unleashing Human Energy Through Culture Change: From a Toxic Culture to a High Performance Organization, by Don L. Rust, a former General Motors (GM) plant manager, and Alan G. Weinstein, an organizational psychologist, is about the transformational power of corporate culture change. It’s a clear and practical guide for managers who want to change a dysfunctional, unproductive corporate culture, no matter the size or nature of the business, into one that engages employees, motivates them to be more productive, and boosts profits. The book uses the compelling story of Don and his experiences and accomplishments at GM’s Tonawanda, N.Y engine plant to illustrate the power of culture change. When Don arrived at the plant, it was on the brink of being shut down because of low productivity. However, by recognizing the needs of its workers and by meeting those needs through change and innovation, Don turned the plant into GM’s top performing engine plant. His accomplishment is a real life testament to what employees can achieve when they feel valued, heard, respected and trusted by management, and their productive energy is unleashed as a result. The changes Don made at the Tonawanda engine plant had such a profound impact that 30 years later the plant remains one of GM’s best-performing facilities. Unleashing Human Energy Through Culture Change, is a must-read for any business that wants a competitive advantage in today’s economy.